The Industry 4.0 Blueprint or Industry4WRD assessment guidelines to assess manufacturing companies’ readiness for Industry 4.0 has been finalised. It shall be implemented in the screening of 500 small and medium enterprises (SMEs) early next year. International Trade and Industry Ministry (Miti) investment policy and trade facilitation senior director Faizal Mohd Yusof said the Industry 4.0 readiness assessment shall provide a better understanding of the current state of SMEs, in terms of technology adoption. “It is good to gauge the level of industrial revolution of manufacturing companies in Malaysia. “The government will then be able to decide on the direction of facilitating Industry 4.0 adoption for SMEs, and see where it can intervene by allocating funding or incentives,” he said. 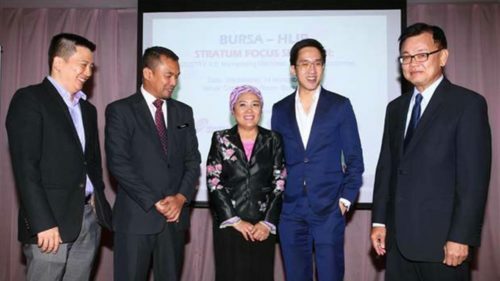 He was speaking at the Bursa Malaysia-Hong Leong Investment Bank (HLIB) Stratum Focus Seminar series VII themed “Industry 4.0: Humanising Machines, Disrupting Economies”. The readiness assessment, which will be conducted by Malaysian Productivity Corp, is part of the Budget 2019 measures to accelerate the adoption of Industry 4.0. A sum of RM210mil has been allocated from 2019 to 2021 to support this programme.The guidelines of the assessment were established based on a pilot study of 22 companies. Meanwhile, the readiness assessment guidelines for the manufacturing-related services sector is being prepared and targeted for implementation in the second quarter of 2019.